Razors and blades – the by far largest segment and about 50% of Revenue (1185m USD). Sun care products, especially from a margin perspective this segment is doing very well (342m USD). Tampons, pads and liners, almost as large as the sun care segment, but less profitable (329m USD). For a long time, there were 3 big companies in the Razor and blades market – P&G with Gillette, the French company BIC, with it’s BIC Razors (especially big in the disposable razors) and then there is Edgewell with mainly it’s Schick and Wilkinson Sword brands. These three companies has enjoyed great margins on their products. As a side note, Gillette used to be a Warren buffet holding which he in 2005 sold to P&G. What has happen lately is that companies like Harrys and Dollar Shave Club have come in and offered a subscription based Razor blade deal, where people get their razors and blades delivered home by mail. Especially in the US this has really taken off and hurt the three large companies. Harrys now have a 2% market share and Dollar Shaving Club around 8%. The company that has hurt the most in this P&G, but it’s been tough on all 3 brands. So the shaving market has more or less been disrupted by this new startups that quickly gained a large market share. So far I guess this doesn’t sound like a great investment case. New entrants coming in, margins for razors has of course also been coming down due to this. But as stated above, the stock has been hammered, the valuation is very attractive. The stock is also not given credit for its defensive products, other companies in this segment have been trading up in the last few months. Other than that, something has also happened lately..
I’m not sure why, maybe because Gillette also wanted to play in this new cool hip social media built group of Shaving Clubs etc. A few days ago they launched a in my view highly controversial commercial. This commercial has so to say gone, viral. Like really viral and it seems to just be growing. I’m not easily provoked and frankly I don’t care much myself about this commercial. But A LOT of other people seem to do. Currently the video has 16.5 million views and if you read the comments on YT (or elsewhere) you realize that there are many people that decided to switch from Gillette to something else these last few days. I think the market currently under-estimates the impact of this video, the internet will not forget this, even if they take the video down. Although the market under estimates it, I don’t really build my investment case around this. It’s more of a bonus kicker to my investment. Even without this badwill for the Gillette brand I think Edgewell is a good defensive holding at a reasonable price. 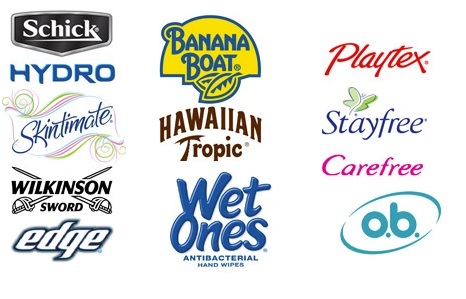 Especially Banana Boat and Hawaiian Tropic are market leaders in sun care products. I myself use these brands frequently and I know throughout many countries the only brand that has better shelf space are Niveas products (owned by German listed Beiersdorf). Also the tampon and feminine hygiene brands are strong brands with a long history in many markets. Currently just like for Essity, high pulp prices has decreased margins on these products. Pulp prices have started to ease off now and I believe this segment will also improve profits, just as I believe my Essity holding will recover in the coming year. So in general I think the market does not give enough credit for this portfolio of strong brands, which brings me over to the valuation. From a peer valuation perspective Edgewell is cheap. Edgewell is trading at a significant discount to peers on all metrics. One explanation for the discount could be the poor ROE. But this figure is somewhat distorted in the latest figures, a best estimate of future ROE is around 10%, still below competitors though. As stated above I take a 4% position in Edgewell as of today’s closing price. While most stocks and especially companies in Asia has had a terrible 2018, Dairy Farm stock has just continued it’s slow trend upwards. This is actually very surprising to me and I have a hard time figuring out why it’s trading so strongly. Perhaps it could be something going on with Tencent, which there has been some rumors of. I have been scratching my head quite a lot on this holding. Back to my superforecasting book, I have so far been totally off in my investment case in Dairy Farm. From a company performance perspective though, there has so far not been any signs of turning around the Supermarket segment, which is the segment that could really revalue the stock. This is also the main reason I invested, that I see it as likely that they could increase their margins significantly here. Instead what has saved Dairy Farm are Mannings stores which sells beauty and health products/supplements. A popular store for Chinese visitors to load up on goods before heading back to China from Hong Kong. This is in my analysis the segment I worried about would collapse in sales, given all the e-commerce. Instead it has been the best performing segment. Listening to the conference call, the new CEO really impresses me, he points to all the issues in the company. One starts to understand why this has been such an underperforming group over the last few years. I think the new CEO really will be able to make a difference, but it will take a long time. This is no easy nimble ship to turn around. So maybe the stock market really likes what the CEO is telling them and gives him the benefit of the doubt. But I think we will see Dairy Farm trade down on disappointing reports, before it trades up again. The valuation at P/E of about 26 for 2018 is not cheap, especially after this sell-off. Dividend yield of 2.2% not very impressive either. It’s all about that margin expansion for the supermarkets. I still want to hold this very long term. If this company is well managed, it is a cash machine with a lot of room for growth. But the stock is my largest position and I think there are better opportunities out there. In the spirit of being long term though, I’m not willing to sell the full holding, but reduce it in half, to about a 4% position. I am not sure, I get your thesis for Edgewell. On paper it trades at a discount, but even if you assume 10% ROE that discount is actually rather justified especially since it is also a smaller player, no? This was a fairly quickly written post and my arguments for EPC being cheap at current levels are not very satisfying. To address your comment on discount I would say: No I would not give EPC a discount because it is smaller than P&G, the brands EPC have are large enough in the nitch they are competing in. Also the best comp is against BIC. Edgewell has 1bn USD of net debt though, BIC is net debt free. Adjusting for this BIC is slightly cheaper than EPC. BUT, BIC being debt free in so defensive businesses is not a plus in my book. That inefficient capital structure and EPC should outperform due to this in the long run. Also They have the razor business in common, BIC then has a stationary (pen business) which is struggling, whereas EPC has Sun care and tampons which should be doing better. BICs lighter business is holding up nicely so far, but with less smoking and e-cig I’m not sure how that will go either. Overall EPCs portfolio is stronger in my view. That said BIC is not a bad investment at these levels either, super well run family company.. It wouldn’t be the first time there’s a big gap between the actual value and that displayed at some major sites. I wonder how this occurs, as this is too big a differences even if you account for adjusted EPS’s. It could also mean the stock isn’t considered for some investors as they do not appear in certain filtering/search results. Regarding the ad, recently Nike had one with a strong political agenda and the overall result was net positive as I recall, couldn’t be this the case here as well? <1% people write comments, so what YT comments say, I wouldn't give them too much weight.